31. Manuel (Manny) LAGOS BESTEIRO57 was born on 15 Aug 1911 in Valdemoro, Madrid, Spain.17 Full name: Manuel Francisco Ricardo Napoleón LAGOS BESTEIRO. Born at Plaza del Esparto, 3, which was temporarily the home of Joaquín GRACIANI LORENZO, brother of his grandmother Victorina. ([Joaquín . . . domiciliado en esta localidad accidentalmente, Plaza del Esparto número tres.] He travelled from Spain to Cuba with his parents and older sister Carmen in 1912. While on board ship, he became very sick and his mother was told by the ship's doctor that he was unlikely to survive the journey. Somehow, she found a wetnurse (nodriza) on board the ship, and this wet nurse (whose photograph is in this database) suckled Manolo back to health, to the point where it was noted that he had a ruddy complexion by the time the boat arrived in Cuba. He stayed, therefore, in Havana, where he lived with his grandmother, and went to school, until 1919 or 1920 (no record of his return has been found). It was there that he became acquainted with Oscar (Oscarito) GONZÁLEZ, who was later to visit the US and attend school in Paterson. He was naturalized on 18 Jun 1925.110 This did not keep him from the attempted clutches of Spain. A 10 Sept 1925 letter from the Spanish Consulate in NY reads " . . . no hay lugar a la mas leve duda. Usted es hijo de padres españoles y ademas ha nacido Vd. en España, y por lo tanto, aun cuando su padre se haya hecho ciudadano americano, ello no le exime a Vd de tener que cumplir sus deberes militares en su Patria que es España". (There is not a shadow of a doubt: you are the son of Spanish parents and were born in Spain, and therefore, although your father has become an American citizen, this does not exempt you from having to complete your duties in your fatherland which is Spain) . . . which of course he never did. He was an employee of Bright Star Battery Company in Clifton, NJ, USA between 1936 and 1977. He joined Bright Star as a clerk in the export department, and worked his way up to assistant office manager, office manager, and comptroller. He retired in 1977 in Clifton, NJ, USA. He died on 2 Oct 2000 in Paterson, Passaic, NJ, USA. 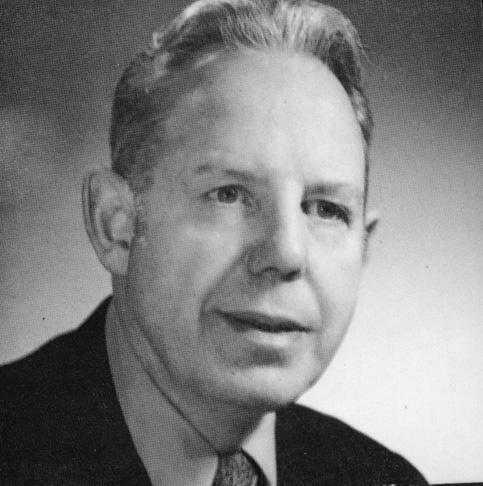 He was active in community affairs throughout his life..107 At various times over the years he served as athletic director of St. Mary's High School; treasurer of the Paterson Catholic Conference; president of the Clifton Chamber of Commerce; treasurer of Paterson-Hawthorne CYO; president of Totowa Borough PAL. He was a member of the Bergen-Passaic Health Services Agency, and served a chairman of the Board of Trustees of the Passaic County Community College. He was president of the Passaic County Community College Foundation and trustee of St. Joseph's Hospital and Medical Center, St. John's Cathedral and Holy Sepulcher Cemetery. He was on the board of the Boys' Club of Paterson, the Liceo Cubano, and the New Jersey State Organization of Cystic Fibrosis. He was a member of the Knights of Columbus, and was on the Hispanic Commission of the Diocese of Paterson and a committee of the Paterson Community Support Fund. "When I think of Mr. Lagos, I remember the stirring words employed by the ancient Romans to characterize their most illustrious Caesar, 'If you want to see his monuments -- look around.' Look around my friends; not even the blind could fail to see the enormous contributions of this good and decent man." -- Gustavo A. Mellander, President, Passaic County Community College. Dolores BALL [m. Carr] in 1992, wrote of "Uncle Mannie, who was always there for anyone who needed him, often before they knew they needed him . . . Whatever the problem, it was always expected that Uncle Mannie would solve it -- and he always did." Manuel (Manny) LAGOS BESTEIRO and Eileen Marie QUIGLEY were married on 15 Aug 1935 in Suffern, NY, USA. This "north of the border" marriage was secret; so secret that virtually no one knew about it for more than a year after the recorded date. 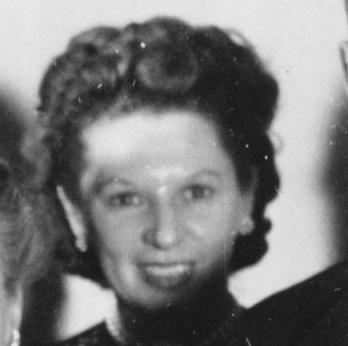 Eileen Marie QUIGLEY57,111 (daughter of Matthew Francis (Pop) QUIGLEY and Rose Ann (Muzzy) HUGHES) was born on 22 May 1913 in Paterson, Passaic, NJ, USA. She was educated at St. Bonaventure High School and graduated about 1931 in Paterson, Passaic, NJ, USA. She was educated at the Packard School about 1933 in New York, NY, USA.112 She was an accountant in Paterson, Passaic, NJ, USA in 1936.112 She died on 14 Feb 1998 in Paterson, Passaic, NJ, USA. White Birch Nursery Home. i. Richard LAGOS ** was born on 28 Aug 1937 in Paterson, Passaic, NJ, USA. He died on 28 Aug 1937 in Paterson, Passaic, NJ, USA.113 Per Tony LAGOS, died about 9 hours after his birth. According to Carmen LAGOS BESTEIRO [m. Signes], he died due to immunity problems. Richard LAGOS (1937), Anthony LAGOS (1938), John LAGOS (1940), Emil SIGNES (1940), Geraldine LAGOS (1943), Charles LAGOS (1944), Manuel LAGOS (1944), Gerard LAGOS (1946), Carmen SIGNES (1946), Katherine BALL (1947), Joseph GOETZ (1947), Richard SIGNES (1947), Marjorie GOETZ (1950), Mercedes BARON (1951), Patricia BALL (1954), Jeff LAGOS (1966), Tracey VREELAND (1966), Tammy VREELAND (1967), Greg VREELAND (1969), Stephanie VREELAND (1970). ii. Anthony Kevin (Tony) LAGOS. iii. John Manuel (Jack) LAGOS. iv. Manuel Gerard (Buzz) LAGOS. v. Gerard Matthew (Jerry) LAGOS.